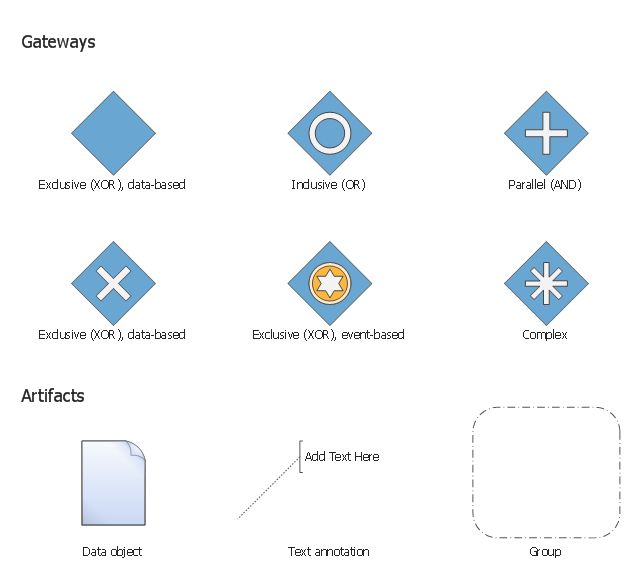 The vector stencils library "Gateways BPMN 1.2" contains symbols: data-based and event-based exclusive (XOR), inclusive (OR), parallel (AND), complex. 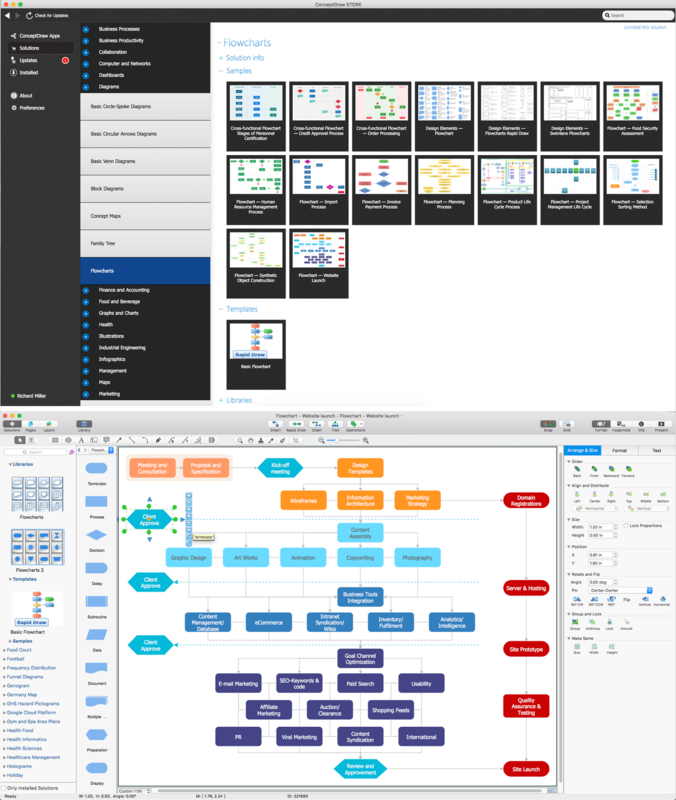 The vector stencils library "Artifacts BPMN 1.2" contains symbols: data object, text annotation, and group. 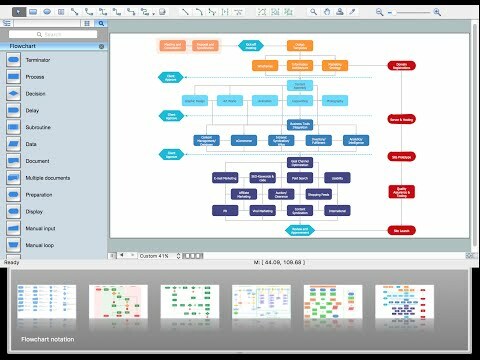 Use these shapes for creating the business process diagrams using the ConceptDraw PRO diagramming and vector drawing software. Used to create alternative flows in a process because only one of the paths can be taken, it is called exclusive. (1) Data objects: Data objects show the reader which data is required or produced in an activity. (2) Group: A Group is represented with a rounded-corner rectangle and dashed lines. The group is used to group different activities but does not affect the flow in the diagram. 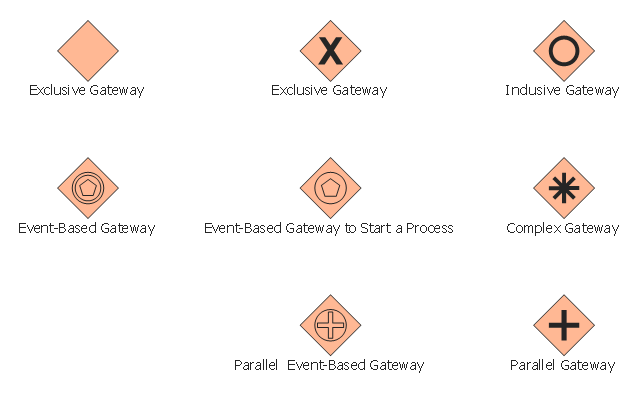 The vector stencils library "Gateways" contains 8 symbols of exclusive, event-based, parallel, inclusive and complex gateways.